3. Analytical Exposition of the Epistle of Paul, the Apostle to the Romans. .
4. Analytical Exposition of the Epistle of Paul, the Apostle to the Romans. .
5. Analytical Exposition of the Epistle of Paul, the Apostle to the Romans. .
7. 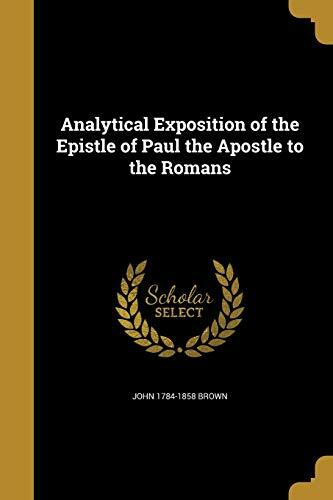 Analytical exposition of the Epistle of Paul, the apostle to the Romans. .
9. Analytical exposition of the Epistle of Paul, the apostle to the Romans. .